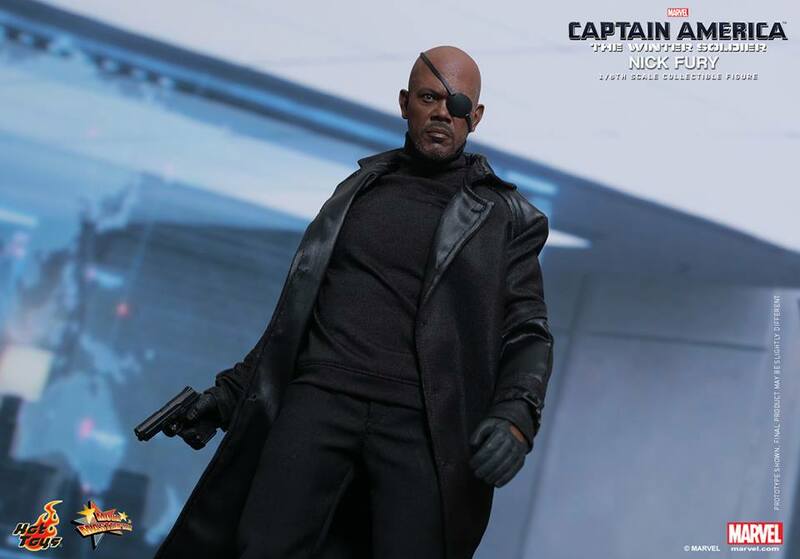 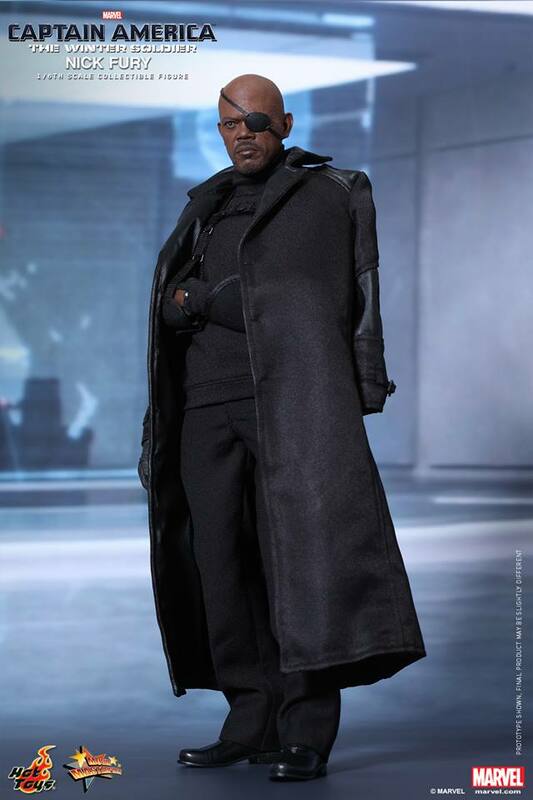 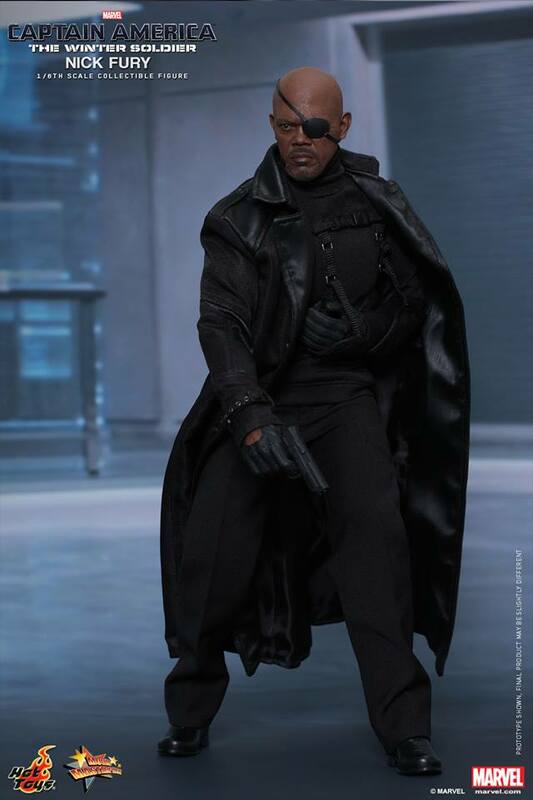 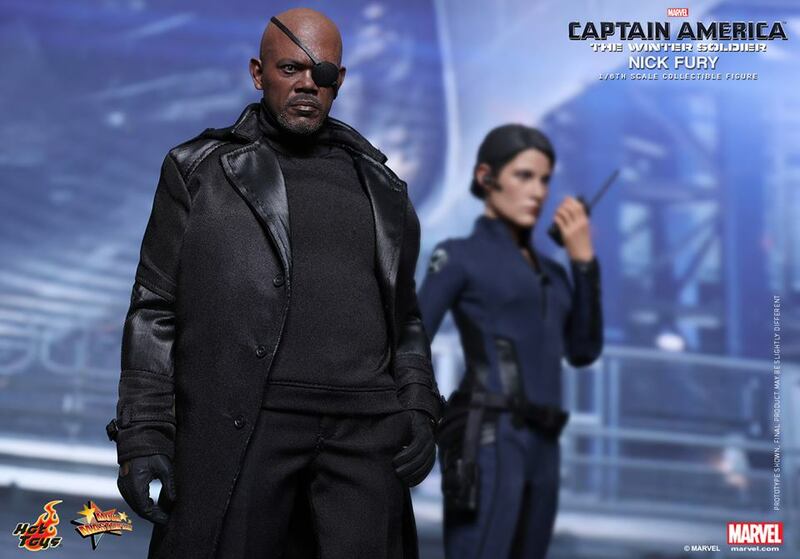 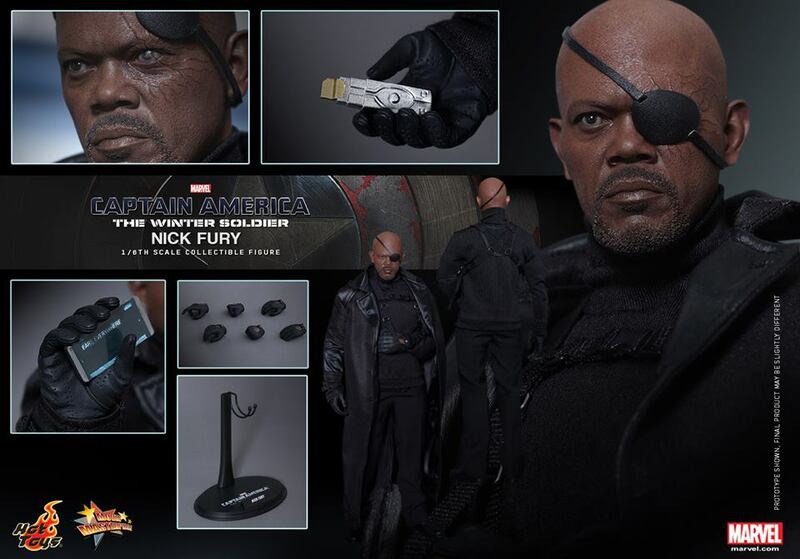 The Captain America: The Winter Soldier – Nick Fury 1/6 Scale Figure has been fully revealed by Hot Toys. 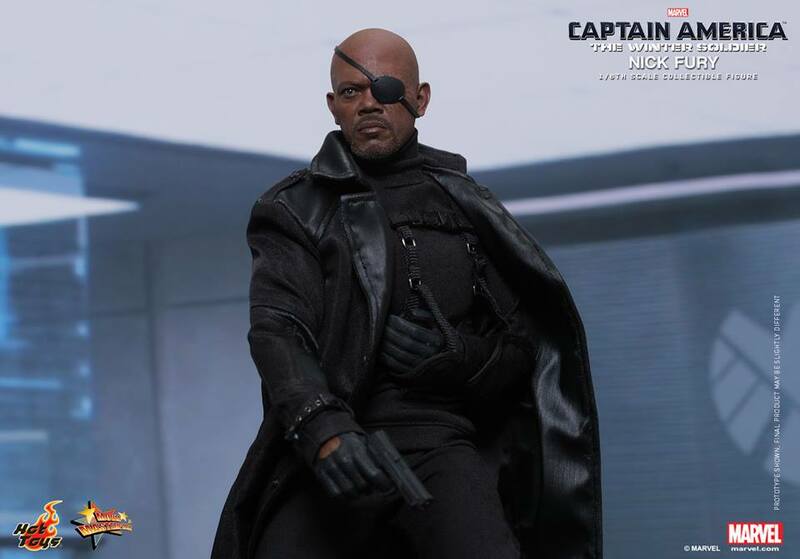 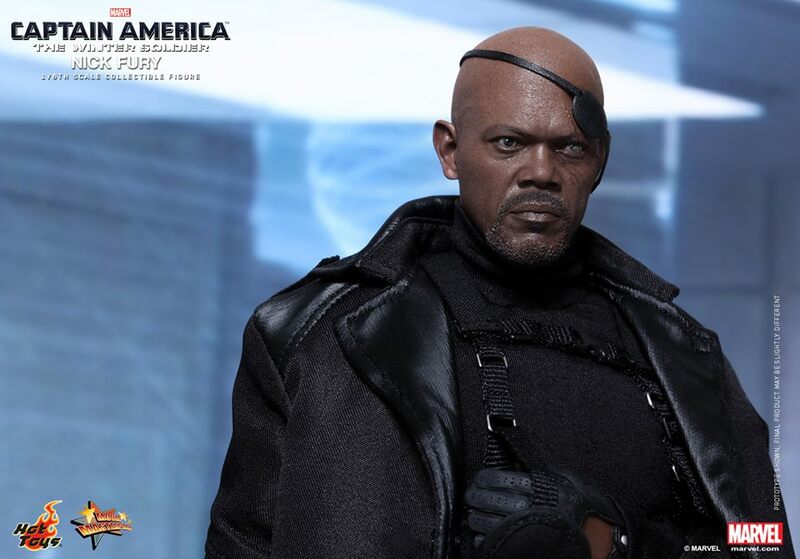 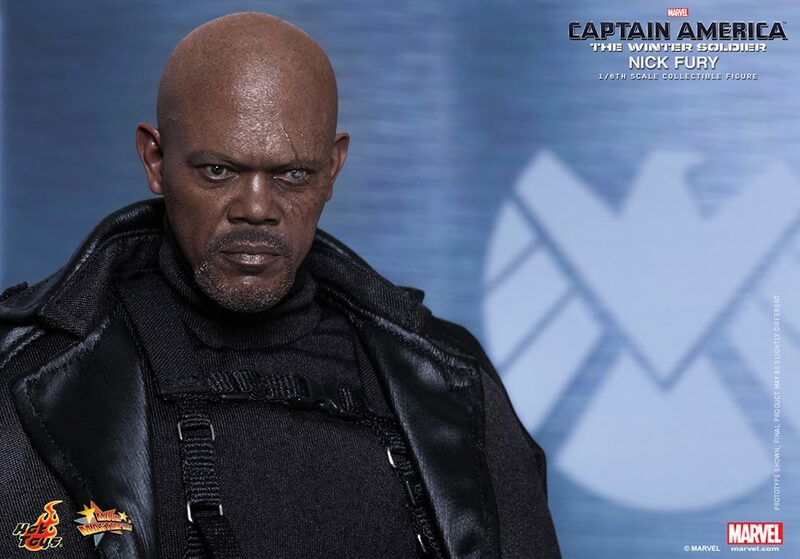 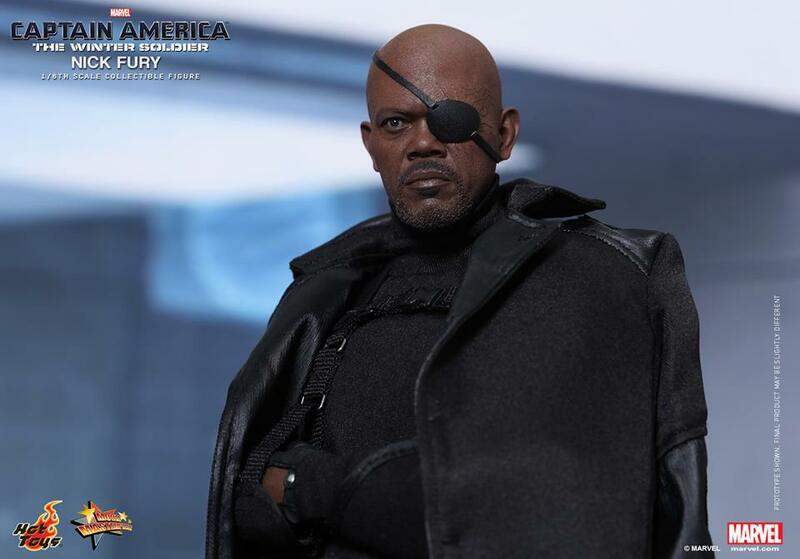 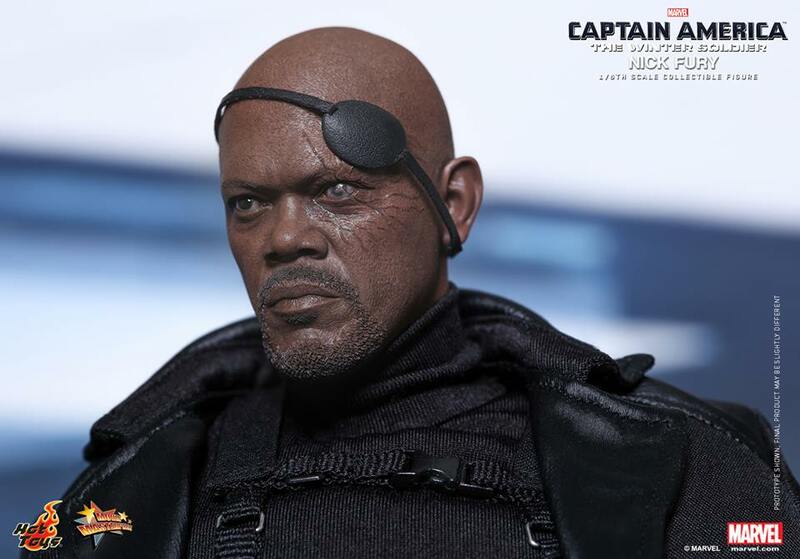 The newly sculpted likeness of Samuel L. Jackson features a removable eyepatch, showcasing his scarred left eye. 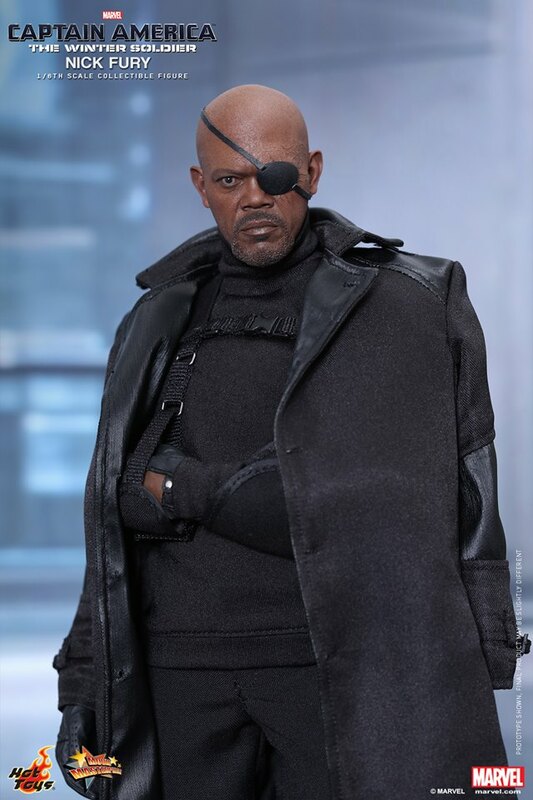 Costume pieces included are interchangeable hands, a trench coat, an arm sling. 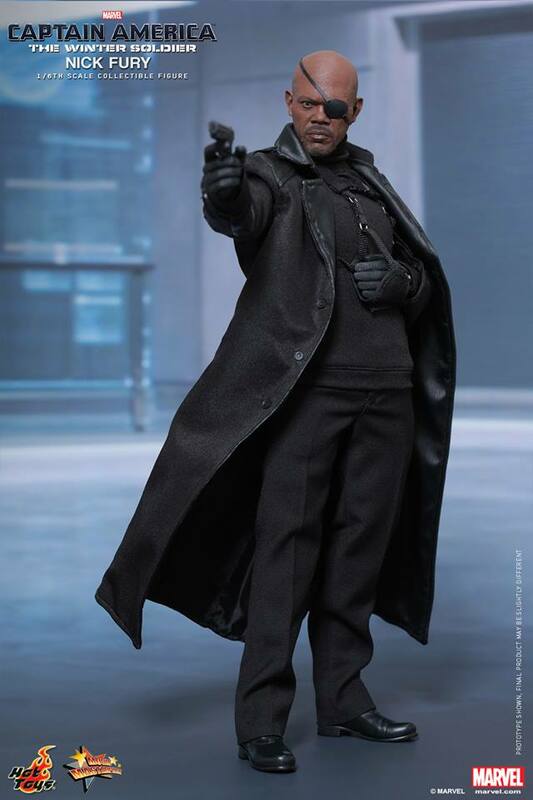 The figure will also come with a pistol, a mobile phone, a data storage device and a themed figure stand. 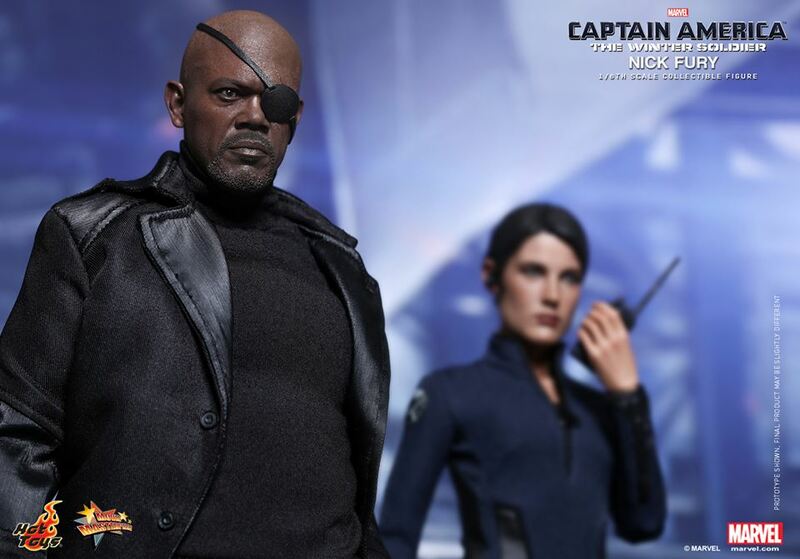 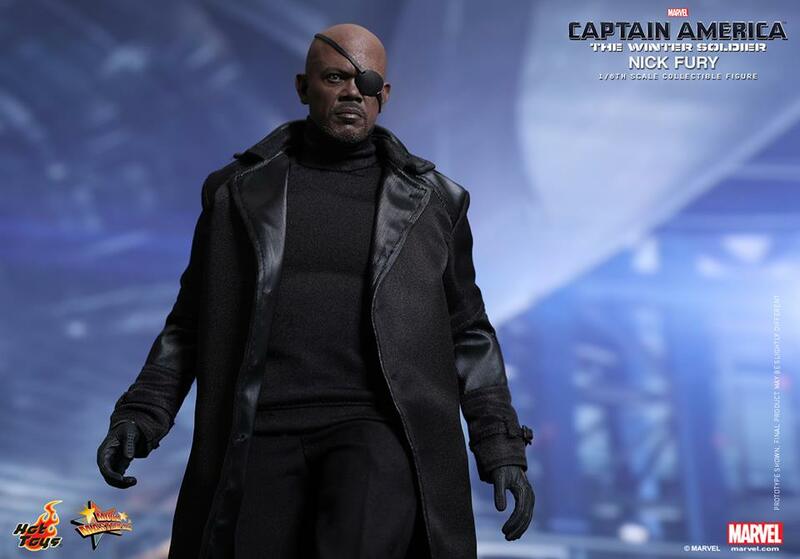 Nick Fury is scheduled for release between the second and third quarters of 2016. 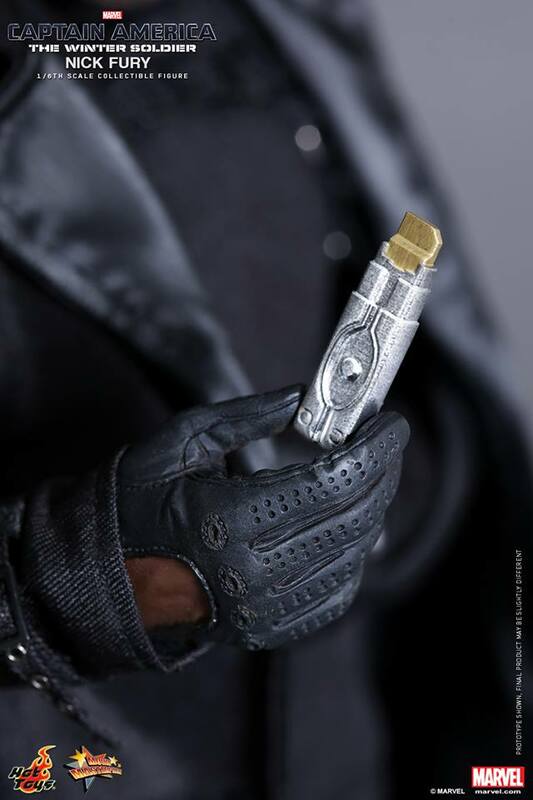 You can see all of the images and much more info after the jump.